There is an uncertain future for African low-cost airline Fastjet as the struggling budget airline tries to secure more funding and investment to secure its operations. The airline has been running short of cash for months and recently announced a new share issue and refinancing deal that would raise cash and equity by at least $40 million. On Friday, November 16th the airline confirmed it had completed the first of three phases of those refinancing initiatives. It has raised USD11.5 million through the placement of 898.4 million shares at 1p each, a 39% to its closing price of 1.65p per share on Friday. The airline is also arranging with its largest shareholder, Solenta Aviation to take 316.7 million shares to take a greater stake in the company which will raise $4.1 million. More shares will also be issued to allow the company to acquire four Embraer 145 aircraft for further route development. 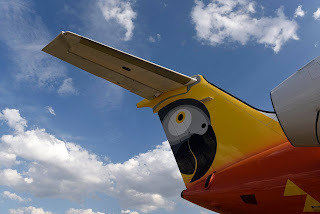 A Fastjet spokesperson said: "The equity refinancing will reduce Fastjet's debt significantly and it is expected it will result in the group being fully funded through 2019. The company, with a substantially stronger balance sheet and recently improved results from operations, will be better positioned for growth going forward." 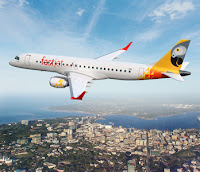 FastJet designed to be the African airline for everyone began flight operations in Tanzania in November 2012, flying passengers from Dar es Salaam to just two domestic destinations - Kilimanjaro and Mwanza. The company has grown since then to have a route network that includes Tanzanian domestic routes from its Dar es Salaam base to Kilimanjaro, Mbeya, and Mwanza, and international routes from Tanzania to Lusaka in Zambia and Harare in Zimbabwe. Fastjet began branded domestic flights in Mozambique (Operated by Solenta Aviation Mozambique) between Maputo and Beira, Nampula and Tete during November 2017. The carrier operates between Harare and Bulawayo, Harare and Victoria Falls, Harare and Dar es Salaam and from Harare and Victoria Falls to Johannesburg in South Africa. “Business in our continuing operations in Zimbabwe and growth-markets of South Africa and Mozambique is on the right track”, CEO Nico Bezuidenhout is reported to have said.